At Ligna 2015 the all-new fh5 was demonstrated impressively, and linked to Schelling’s fully automated board storage and retrieval system. 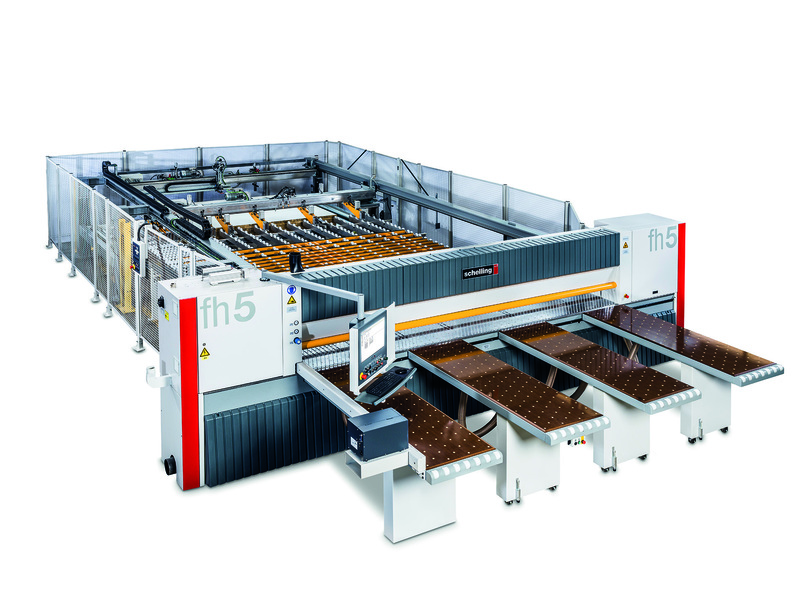 The new fh5 is a logical development, rounding out Schelling’s portfolio of sophisticated industrial beam saws between the already very popular model fh4 and fh6. 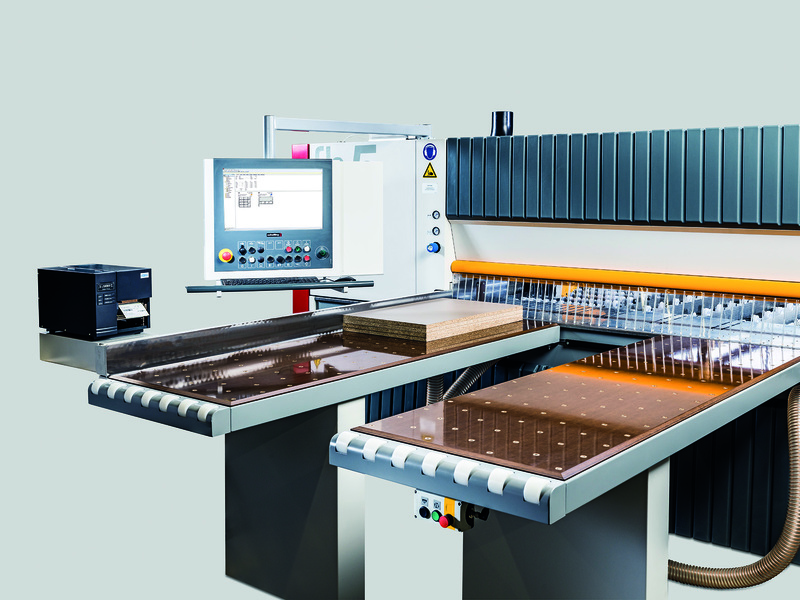 The new fh5 has ideal specs for many applications for single board and full book processing up to 4 inches in actual book height, and packs impressive features combining Schelling’s industry leading know-how and commitment to quality. Precision, perfect cut quality and optimized processes are combined for high productivity. 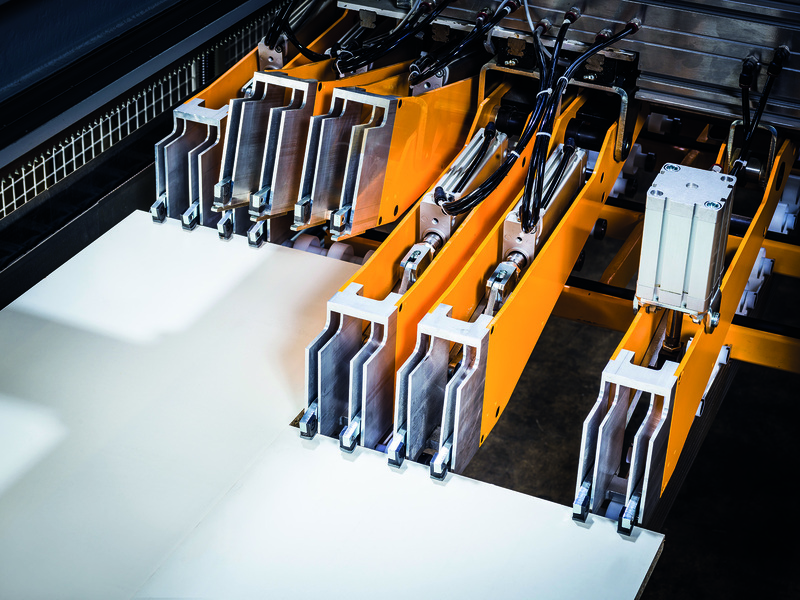 The 28HP saw motor makes processing of wood-based, flat-panel material effortless. The combination of the fh5 with various options like push infeed, vacuum loading, horizontal or vertical automated storage system, automatic labeling, Duplus2 feeder technology and many more make the fh5 highly flexible for any environment.